Best Divorce Lawyers | Law Offices of David M. Brandwein, P. A. Legal family issues are the most emotional, complex and difficult type of cases. This is more so in the case of a divorce process. These days, many couples are witnessing dissolution of their marriage in Fort Lauderdale, FL in Broward County. Passing through this bad phase of life is very difficult. However, you can ease the legal process by hiring the services of a reliable and competent divorce lawyer. A legal representative will ensure smooth and fast legal proceedings, and help you in getting the best possible judgment. However, it is important to turn to a reputed and experienced family lawyer to ensure better success for your particular case. Many people get nervous while handling legal family problems; most of them do not take time in finding a competent lawyer. Many individuals hire a novice lawyer to dispute their case. Similarly, some folks hire a general lawyer. Unfortunately, these individuals end up losing their money as well as their case. So, do not be in haste when picking a family attorney. Instead, stay calm and be diligent while choosing an attorney. Always choose a legal expert who is a specialist family attorney. Selecting such a lawyer certainly warrants time and efforts, but your efforts will pay you back by way of favorable judgment. Specialist lawyers deal with family issues and divorce process daily. They work to their best potential and enhance your chances of winning the case. Moreover, they provide the much needed support and assistance to ease up your divorce process. First of all, make an extensive list of lawyers in and around Fort Lauderdale, FL in Broward County. Asking with folks in your relations and touch is a better way of obtaining contact details of reliable divorce attorneys. People who have links and contacts with any specialist family attorney will come handy in this respect. Similarly, enquire with people at your work place in your free time. 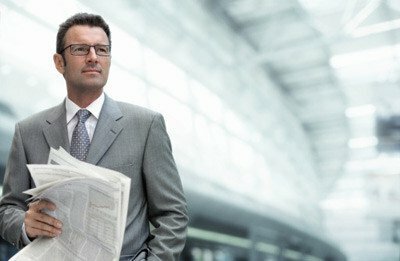 If any one has hired a specialist divorce lawyer for resolving his legal disputes, he will assist you in choosing the best lawyer. Trusted people in your neighboring areas might also suggest you the names of few reliable professionals who are experts in family law. Internet is another handy source of locating reputable lawyers quickly from the comfort of your home. Once you have compiled a list of reliable lawyers, it is time to pick the best one for your specific needs. Read reviews and customer testimonials about these lawyers to verify customer satisfaction level. Lawyers that are mostly suggested by existing customers are worth hiring. Obtain details from these lawyers by navigating their sites. Go through their work portfolio; ascertain the types of services offered as well as their legal fees. Make sure they are linked with reputed legal associations. Similarly, ensure they are experienced and competent by surfing through their certifications. After making a thorough assessment, pick the best family lawyer who renders professional expertise in an affordable manner. Click here to read this related article about finding the right family attorney.